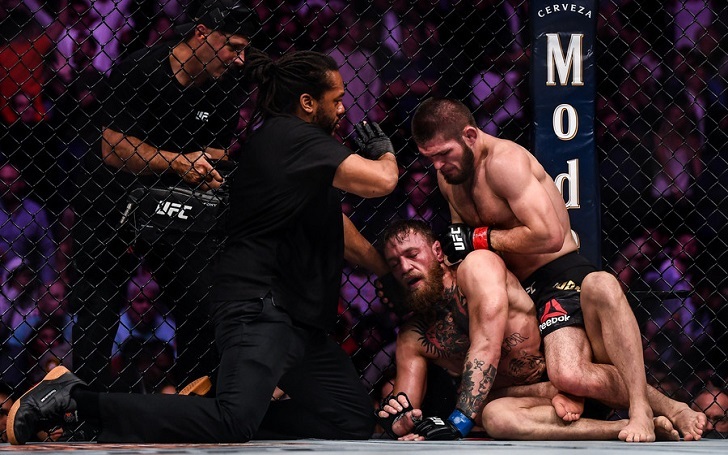 Khabib Nurmagomedov Shot Down Conor McGregor Rematch; "He didn't deserve this. Rematch for what?" The recent Twitter war between Conor McGregor and Khabib Nurmagomedov made people think that it was actually a storyline for the upcoming rematch between the two Lightweights. However, the reigning Lightweight champion sent a different message to fans and the former lightweight champion ending the rumors on the possibility of a rematch. The undefeated Lightweight champion arrived at Sydney airport ahead of an event where he talked to the local media and told that the Notorious doesn't deserve a rematch. He was asked about his next possible match for which he replied "anyone" but was quite dismissive of the idea about Conor. "We'll see. He didn't deserve this. Rematch for what? Before the last fight, he talked too, but when we got inside the cage, he didn't do nothing." Earlier, the Russian had different plans for the rematch as he told that he would get into the cage against Conor if he gets $30 million offer. Despite what Khabib said, UFC president Dana White talked with TMZ where he told that he is working for the Khabib-Conor rematch which will most likely happen in 2019.